The government has drafted a new policy aiming to ensure adequate and affordable housing for all in the rural areas, Lok Sabha was informed today. "A National Rural Housing and Habitat Policy has been drafted by the ministry after wide consultation with the stakeholders including state governments, bankers etc... The draft policy is at consultation stage with the Planning Commission," minister of state for rural development Pradeep Jain Aditya said in written reply to a question in the Lower House. "The goal of the proposed policy is to ensure adequate and affordable housing for all in the rural areas," he said. The draft policy also aims to facilitate development of sustainable and inclusive habitats in rural areas by expanding government support, he said. It seeks to promote community participation, self help and public private partnership within the framework of Panchayati Raj, he added. The minister, however, replied in negative to a question whether the government has formulated or proposes to formulate a national rural housing policy and housing guarantee scheme on the lines of Mahatma Gandhi National Rural Employment Guarantee Act (MGNREGA). 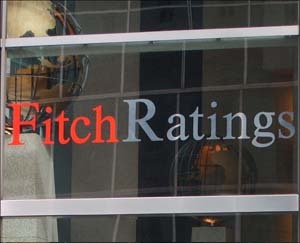 The global rating agency Fitch today warned that hardening of interest rates could jeopardise the prospects of the real estate sector in the coming months. Any significant increase in property prices and a tightening monetary policy, could have an adverse impact on the future demand," Fitch said in a report on the domestic realty market, two days ahead of the Reserve Bank's monetary policy review. The apex bank is slated to announce the third quarterly credit policy on Friday, in which it is expected to strike a balance between the conflicting needs of contain inflation and promoting growth. The central bank had in its half-yearly review of the monetary policy raised the standard asset provisioning requirements for banks from 0.4 per cent to 1 per cent. The Fitch report also said affordable homes would drive the housing sector in the coming months, while the commercial real estate will have to wait for some more time for recovery. "The affordable entry segment should continue as the primary growth driver in the Indian residential sector for 2010," the rating agency said. "The commercial segment continues to remain under pressure. We expect demand for commercial space to improve in the second half consequent to the expected resumption of hiring in key sectors like IT/ITeS and financial services," Fitch added. The rating agency said as retailers move back into the expansion mode, there could be a pickup in volume and rents to stablise in the second half of the year. With the global economic crisis, the overall demand in the real estate sector had plunged in the first half of last year resulting into a significant drop in property prices. Though there were some recovery seen in housing segment on government's stimulus packages and shift in strategy of the developers' to focus on mid to affordable segments, commercial and retail segments are yet to see any rise in demand. "Fitch expects growth in 2010 to be driven by government support (especially for the affordable segment), improved access to debt and capital markets and recovery of the real estate demand," the rating agency said in a report. However, the profitability of developers might be affected with their current focus on low-margin, high-volume strategy, though cooling commodity prices could provide some cushion. "The cost of land would be critical to the overall profitability of the project, especially in the low-margin affordable projects," Fitch said. To be successful, developers are either to be selective in acquiring land or enter into joint venture development contracts, where there is hardly any exposure to the market movement in the land prices.